Veronica O'Keefe, 79, of Warren, passed away unexpectedly on Saturday Morning, April 14, 2018, in North Valley Health Center, Warren. Veronica May was born on May 3, 1938, to Harvey and Madonna (Lussier) Asselin, in Oklee, MN. It was there she grew up and received the sacraments, including being united in marriage to Thomas Francis O'Keefe, in St. Francis Xavier Catholic Church, on January 21, 1961. The young couple made their home and farmed in rural Warren, MN, where they raised their four children. Over the years, in addition to being a homemaker and mother, Veronica also held jobs in town at the Ben Franklin, Dale's Foods and the Good Samaritan Home, where she made many friends with staff and residents. Veronica took pleasure in life's simple things and she enjoyed bingo, baking, embroidery, and spending time with her family: especially with her grandchildren. Sunday meant supper and a movie for mom and the grandkids. Nothing meant more than spending time with family. She is survived by her children, Jeff (Lisa) O'Keefe of Warren, Debbie (Jo) Dakken of Stephen, MN, Patti (Jim) Myrfield of Warren, and Lori (Robert Barr) Hanson of Warren; her mother, Madonna, of South Milwaukee, WI; twelve grandchildren; six great-grandchildren; and her siblings, Victor, Audrey, Annette, Ronnie, Rick, Mick, Mark, Barbara, and Bonnie. Veronica was preceded in death by her husband, Thomas, who died on September 18, 1989; and her father, Harvey. FUNERAL SERVICE: Saturday, April 21, 2018, at 10:30 AM, in DuBore Funeral Home Chapel, Warren, MN. 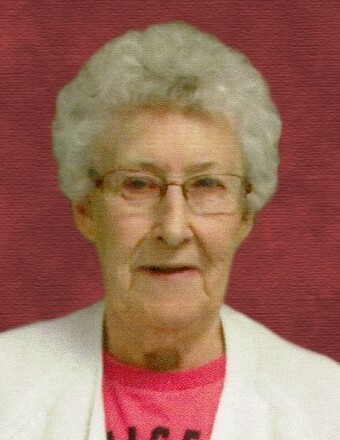 VISITATION: Friday, April 20, from 5-7 PM, in DuBore Funeral Home; and one hour prior to the funeral service.